A very easy creative mode. Read the description for full details. A fun filled mod pack with many features. Read the description for full details. This mod adds a simple stable as a decoration object. Add a decorative small squared tower. Can be integrated with the large stone wall of the game. A very default like mod pack. Read the description for full details. Add a house model. This is only decorative for the moment. Inspired by Takeda's Angevin Names Mod, this mod adds historical norse names from 9th-13th century norse literature to the game. All names are gathered from vikinganswerlady. If you spot any mistakes, feel free to tell me. Adds a Pond as Decoration Building. The Pond needs 100 Water and 25 Stone to be build and has 1 Gold Upkeep Cost. Adds over 1000 of each male and female names. Adds different colored Banners as a Decorative Building. OBSOLETE!!!! Allows you to trade leather away for 0 gold each. In doing so, it provides a way to get rid of leather without having to manually delete it, while not providing any advantages for it and keeping the game as vanilla as possible. Are you using a balancing mod and missing the quests that give the free territories early game? This mod adds 3 quests that are similar to the vanilla quests that provide some rewards. id suggest not downloading this . . . unless you want issues. This is currently for decoration only. It costs 1 stone and 1 gold. 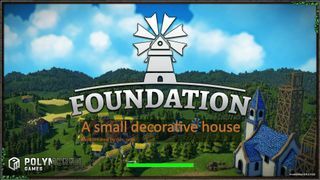 This mod adds a small decorative building to Foundation. 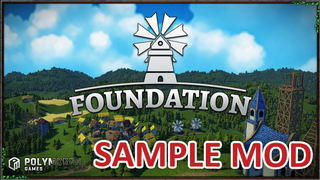 This is a demo/sample mod for modders. This mod adds a snowy decorative tree to Foundation.